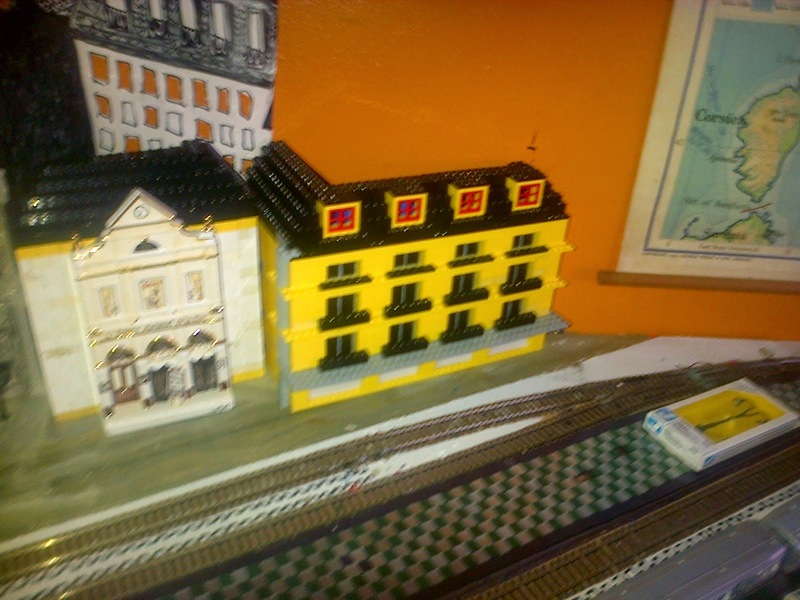 French Model Railway: Re-jigging a lego building. 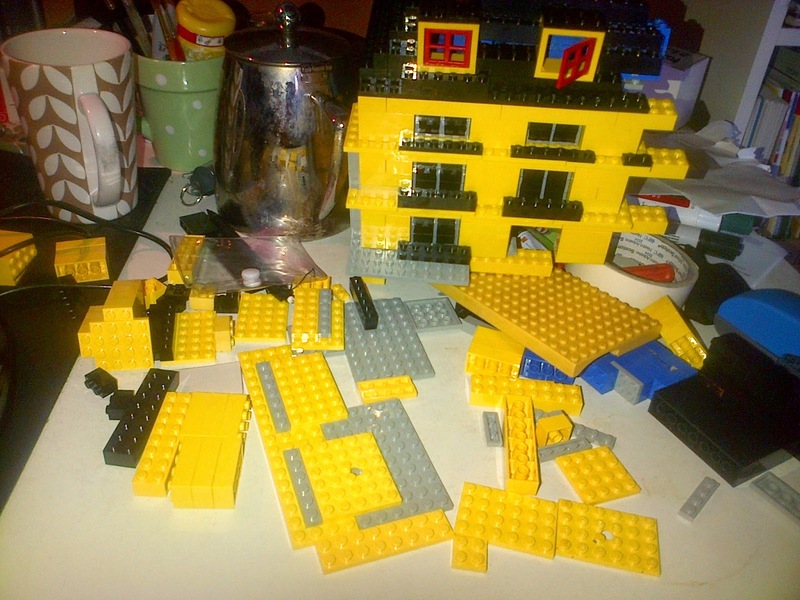 I've decided to re-jig the yellow Lego apartment building so that instead of its 4 columns of windows being only on the wall facing the railway tracks, there will be two columns facing the church and two facing the track. 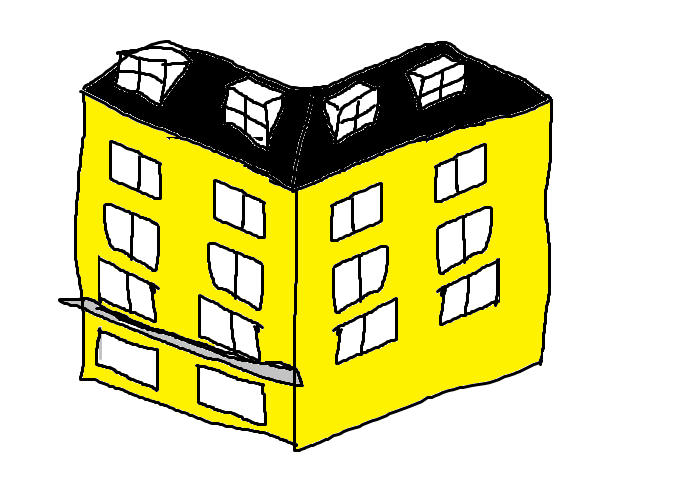 In other words, I'll be re-constituting the building as a corner site. 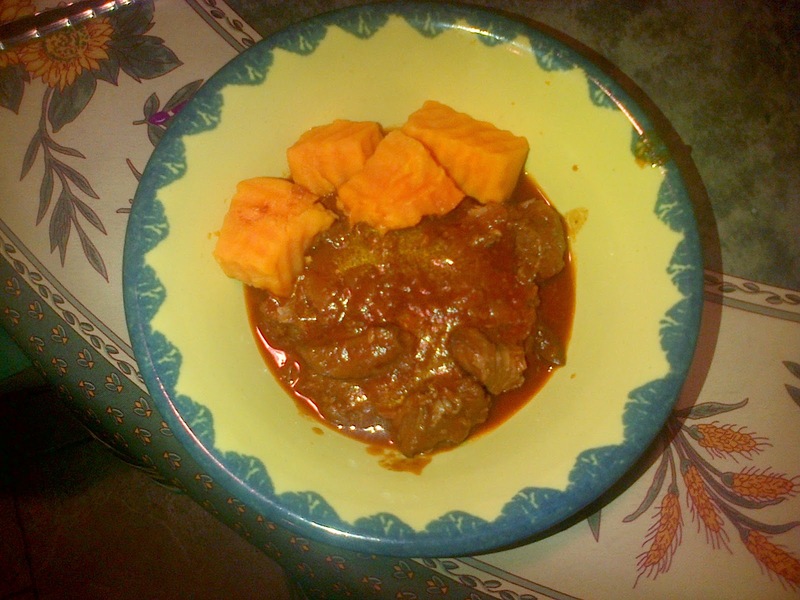 Mutton, yes, "Mutton" in a stew with sweet potatoes. About 3/4 the way through - flagging again. Various online articles about the concept of "definition" in modern philosophy. 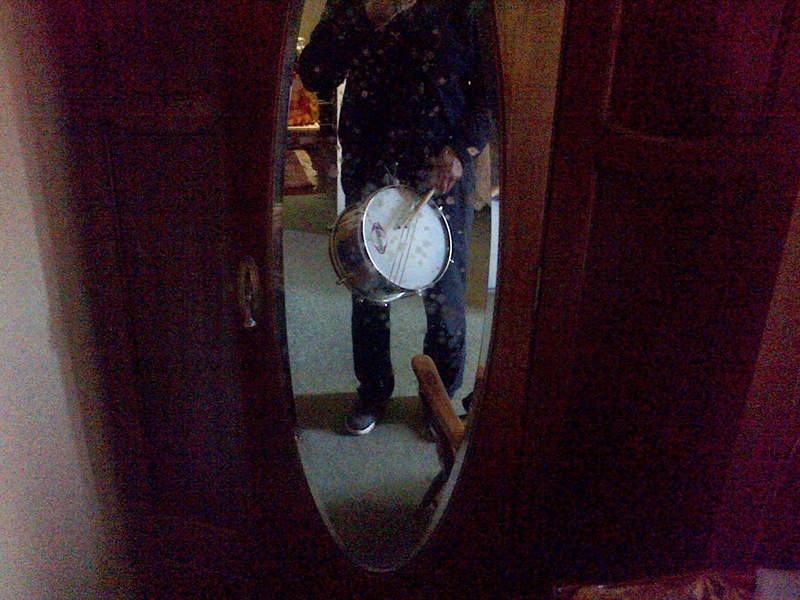 As well as the usual 45 minutes in front of the mirror, also fitted in half an hour on the drum pad. Most enjoyable day with my sister and brother-in-law's family in Helensburgh. Helped Jack with his quadratic equations but was unable to convince anyone (including myself) of their practical usefulness. 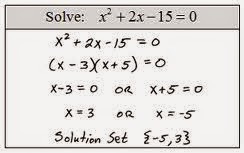 In fact, I do use quadratic equations fairly often but couldn't bring to mind an example of when. 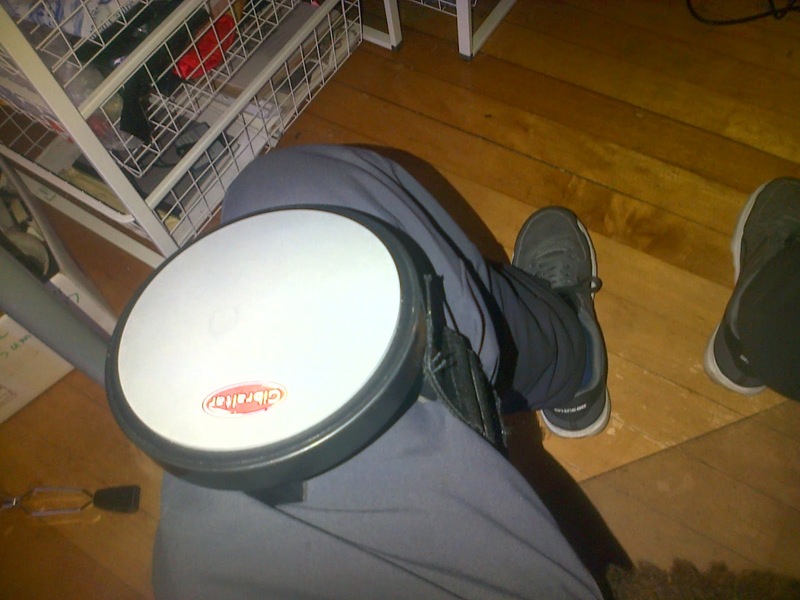 So, the next time I use one, I'll stop and jot down the nature of the example.